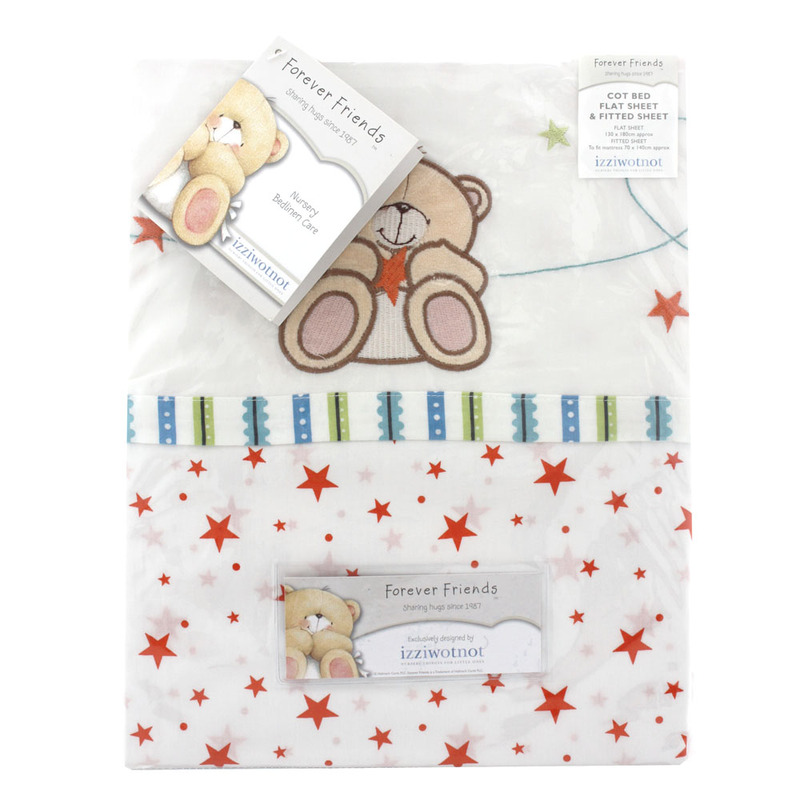 A star printed cotton fitted sheet and fresh white embroidered flat sheet for cot beds. Flat and fitted sheet cot/cot bed 2 pack. Flat sheet 130 x 180cm, Fitted Sheet 70 x 140cm.